Gionee is a relatively new brand in the Philippine mobile phone space, but they have been active in a lot of parts in the world. The China-based company has been releasing Android phones in their own branding, not rebranded like most of the local phones that we’ve been seeing. And the product we’re unboxing now is one of their Dual-Core large screen devices – the Gionee GPad G1. It’s a 1Ghz Dual-Core phone with a 5.0” 800×480 IPS screen; 5 (or 8) MP camera + LED; VGA front facing; 2,100mAh battery; and all the usual Android connectivity options. It also comes with some much-appreciated accessories like an extra battery and a flip cover. 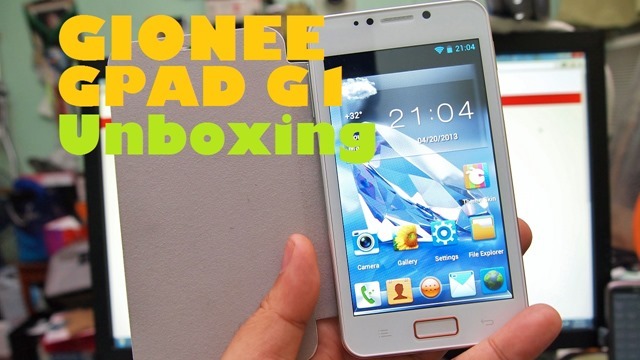 So join us in checking out the GPad G1 in our unboxing video and specs below! The GPad G1 is available now for PHP 10,799. Check them out at your nearest Gionee retailers nationwide.